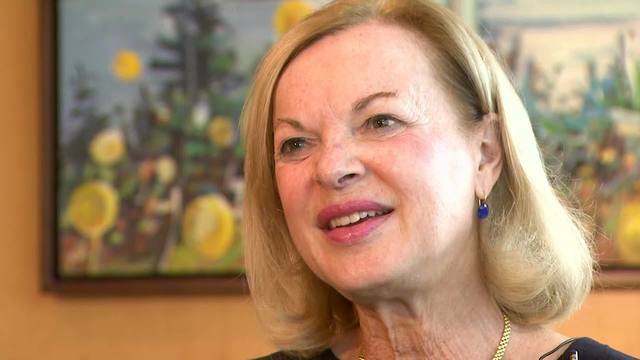 BOSTON (WPRI) — As head of Brigham & Women's Hospital, Dr. Elizabeth Nabel leads one of the nation's premier medical institutions and is a senior executive at Partners HealthCare, the most dominant medical provider in Massachusetts. She's ranked among the most powerful people in Boston and has even advised the NFL. Before long Nabel could also be one of the most influential people in Rhode Island health care. Partners is finalizing a deal to acquire Care New England, the state's cash-strapped No. 2 hospital group, and make it part of Nabel's Brigham Health division. The proposed takeover needs approval from both the attorney general and the R.I. Department of Health. In her first extended interview about the deal, Nabel told WPRI 12 this week that Partners understands Care New England's importance to Rhode Island, both for patient care and as an engine of economic development through employment and research. "We want to ensure affordable, world-class health care in Rhode Island," she said. 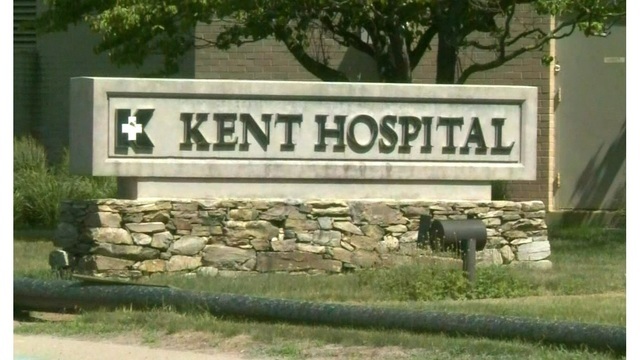 The deal would give Partners control of Women & Infants, Kent and Butler hospitals as well as Care New England's other units, including the remaining operations in and around shuttered Memorial Hospital. The nonprofit company would instantly become Rhode Island's second-largest private employer, with over 7,500 workers in the state. Nabel promised that Partners will "pay attention to jobs," though she declined to make specific commitments. "We'll be looking at clinical care opportunities in Rhode Island — whether it be for physicians or nurses or other care providers — while also paying attention to administrative jobs, as well, and ways to consolidate there," she said. Pressed on whether Partners might decide to cut back-office jobs in Rhode Island, she called it "a good question," but suggested the reverse could also happen. "With any partnership that comes together, you always look for scale and efficiencies," she said. "It could be that administrative positions are in Rhode Island as opposed to Massachusetts. … They could be in Rhode Island, serving Massachusetts." Roughly 265,000 patients used one of Care New England's three hospitals last year, according to a spokesperson. Nabel suggested a transition to Partners' ownership would be "seamless" for them. "Nothing is going to change in terms of their doctor, their care provider — it will be the same," she said. "In fact," she added, "it's incredibly important to us that the doctors who care for individuals in Rhode Island work and live in Rhode Island." The Partners deal, first announced in April 2017, is the culmination of a years-long effort by Care New England's leaders to stabilize their organization. Its existing financial challenges were exacerbated by their ill-fated 2013 decision to acquire Memorial, which they closed after less than five years to stem tens of millions of dollars in losses. Care New England initially struck a deal to merge with New Bedford's Southcoast Health Group, but that deal collapsed in the fall of 2016. After talking to multiple suitors — including the state's top hospital group, Lifespan — the CNE board reached a deal to join Partners. "Care New England came to us," Nabel recalled. Partners is a goliath in New England medicine, with 12 hospitals including the Brigham and Mass. General, over $13 billion in annual revenue and roughly 74,000 employees. The company already has a relationship with Care New England, due to a clinical affiliation in cardiology at Kent Hospital that was established in 2009. Nabel said executives inside the two organizations have been collaborating even before the deal is consummated. "We have worked with Care New England to help them begin to do a financial turnaround and strengthen their system, and they've made great progress," she said. "But there's still work to do and there's still financial instability." "There are areas where we can work together, to help them with an electronic health record, to help them grow primary care, to help them build ambulatory care centers in Rhode Island, and to really help them recruit — continue to recruit — the best doctors for Rhode Island," she said. For Partners, the transaction would allow the company to expand out of its historic service area in Greater Boston — an imperative for growth now that Massachusetts officials have effectively blocked the company from acquiring any more hospitals there. The Brigham already expanded southward in 2009 by opening an outpatient care center in Foxboro at Patriot Place. "When you think about what's our care model here at the Brigham, it's to deliver exceptional care to everyone who crosses our door, everyone who we touch in the community," Nabel said. "And we want to ensure that we have that same level of high-quality care in Rhode Island, as well." 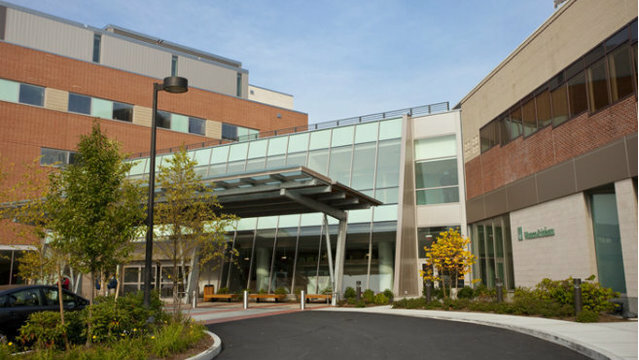 Central to Nabel's vision for Care New England is Brown University, whose medical school has a long-standing teaching affiliation with the CNE hospitals. "We feel between Care New England, the Brigham and Brown we can really build strong academic medicine in Rhode Island," she said. "That's exceptional patient care, but it's also research, making basic discoveries, and translating those discoveries into new therapies for patients," she said. "We're very committed to training the next generation of physicians and scientists, medical leaders, in this country. And we're also very committed to serving our communities." The relationship between Partners and Brown has warmed up considerably since a year ago, when the school's president, Christina Paxson, gave an interview to WPRI 12 warning Rhode Islanders to be wary of Partners. Brown even put forward an unsolicited alternative offer for Care New England with Prospect Medical Holdings, owner of Roger Williams Medical Center. Last August, however, Brown dropped the Prospect plan and signed a formal agreement with Partners making "a joint commitment to providing the highest quality of patient care, physician training and biomedical innovation in Rhode Island." What happened? "Frankly, early on I wasn't getting very good answers," Paxson told WPRI 12 this week. "That changed." Brown has built "a very good and constructive relationship with Partners, most notably with Betsy Nabel and the Brigham, over the past year," she said. "We've worked out an agreement that I think ensures that there will be investment in complex care and medical research in Rhode Island." 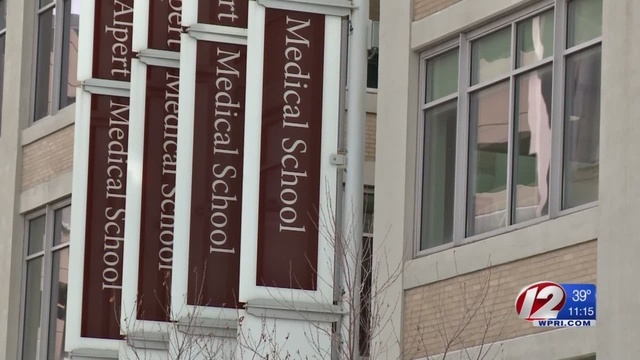 Nabel said Brigham Health is "very excited about our growing relationship with Brown," promising to work with the school "the same way in Massachusetts we work with Harvard." A working group of Brown and Brigham leaders are developing a broader overarching strategy for their collaboration, which Nabel and Paxson both argued could benefit Women & Infants in particular. "I think one of the directions in in which medicine is moving is really developing centers of excellence in certain areas in certain geographic locations," Nabel said. "We know Women & Infants is an extraordinary mothers and babies hospital. … You could see a regional center of excellence in women's health, babies' health, being in Providence." Paxson said, "I do think women's health and infant care is a potential strength here — it already is a strength, but it could be even better." She also highlighted the potential of work being done at Brown's Carney Institute for Brain Science. As another example, Nabel pointed to the Boston-Biomedical Innovation Center, founded by Partners in 2013 with a $12-million grant from the National Institutes of Health to speed up commercialization of treatments. Partners is now applying for a follow-up NIH grant that will include Brown. In Massachusetts, Partners is known not only for its high quality but also for its high prices. That has sparked concern in Rhode Island about whether making Care New England an arm of Partners could put upward pressure on the state's already high health costs, particularly if Rhode Island patients get rerouted to Boston for care. Nabel insisted that's not the plan, saying Partners is "very respectful" of the caps on hospital rates that the Rhode Island health insurance commissioner has in place, as well as Gov. Gina Raimondo's new executive order that aims to limit growth in state health spending to 3.2% a year. "Keeping care local is very important, and that's what we want to do in Rhode Island — keep care local, affordable," Nabel said. She noted that Partners has already been living with caps on cost growth set by regulators in Massachusetts. "We want to keep care affordable; a great way to do that is to keep care local in the community," she said. "Community-based care doesn't need to come to Boston and be treated at Brigham & Women's Hospital. The best care at Brigham & Women's Hospital is the very, very sickest patient — heart transplant, bone marrow transplant, very complicated cancer care." "But," she continued, "for a case like pneumonia or heart failure or a knee replacement, that care can easily be given in the community at a community-based hospital." She argued Brigham's existing cardiology practice at Kent shows the company is open to doing that. "If you have a heart attack in Warwick, you can go to Kent Hospital, get care in the cardiac cath lab, by doctors who live and work in Rhode Island" even though they have a Brigham logo on their white jackets, she said. It remains unclear when Rhode Island authorities will render a final decision on the Partners-CNE deal. Regulators in Massachusetts and Washington have already given it their tacit OK. The two organizations formally filed their application with the state in December, but it has not yet been deemed complete by Attorney General Peter Neronha's office and the Department of Health; once it is, the transaction will qualify for a fast-track 90-day review. The attorney general declined this week to say how close the application is to being ready. 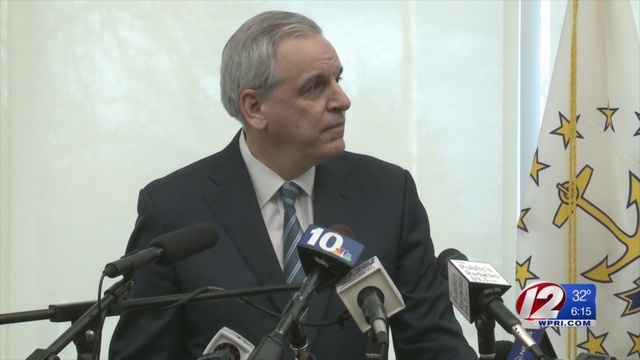 "I'm erring on the side of caution in a transaction of that magnitude," Neronha told WPRI 12. "That's one we have to get right. The problem with health care is, what's right is not always clear, either immediately or in the long term." Special Assistant Attorney General Jessica Rider is leading "a strong team," including outside experts, who are handling the Partners proposal, Neronha said, describing himself as "erring on the side of too many people rather than not enough." "I don't know where it will go and I don't know what the timing is, but I want to make sure we get it right. … There's nothing on the [attorney general's office] civil side that's more important than that in my mind," he said. Nabel would not offer a timeline, either, saying regulators "need to take their time to make sure that this is right for the state of Rhode Island." She declined to say if Care New England would continue to have an in-state executive team in addition to the individual hospital presidents. "Let's wait and see how the regulatory process goes," she said. "Hopefully we will get approval, and when that happens, then we can engage in more concrete planning about what comes next." The Partners-CNE deal could also change the landscape for Rhode Island Hospital parent Lifespan, which is used to being the dominant player in Rhode Island medicine. Lifespan CEO Dr. Timothy Babineau gave a chilly reception to the proposed acquisition in 2017, only to surprise observers last year by entering into confidential negotiations with Partners and Care New England about an undefined partnership between all three entities. But those talks ended last fall without an agreement. Nabel is keeping the door open to Babineau. "We're continuing to have conversations with Lifespan," she said. "We share the same commitment to outstanding patient care, and we share the same commitment to academic medicine in collaboration with Brown." Lifespan spokesperson Jane Bruno, however, indicated a more distant relationship. "Lifespan has not had any formal conversations with Partners HealthCare since talks broke off in late October," Bruno told WPRI 12 on Thursday. 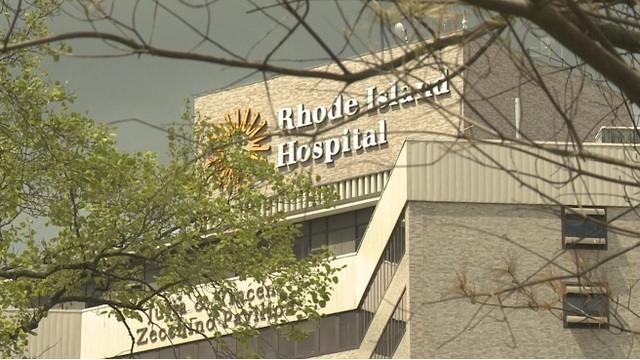 "The far-reaching consequences of an out-of-state health care provider making decisions about Rhode Island’s second-largest health system requires a thorough and thoughtful review by all concerned — the state, other stakeholders and us," she said. "Lifespan remains committed to high-quality, patient-centered care delivered here in Rhode Island." Meanwhile, Partners itself is experiencing some turmoil at the top with the unexpected announcement this month that its CEO, Dr. David Torchiana, will retire. The news revived long-standing speculation about a strained, competitive relationship between top brass at the Brigham and Mass. General. Nabel is dismissive of the media reports, calling them "completely overblown" and saying, "The relationship between the Brigham and Mass. General has never been stronger." She also said the Partners board remains "absolutely" committed to the Rhode Island expansion. "This doesn't alter the commitment of the Brigham or Partners to Care New England one iota," she said. "We're continuing to focus on the work ahead of us and continue our integration planning with Care New England." Other observers in Boston have cast the CNE deal as emblematic of Partners' far-reaching ambitions, part of a broader plan to ensure it has the size and scale to compete in an era of hospital consolidation nationwide. Nabel downplayed the idea. "We don't need to grow to infinity in order to really share that commitment around academic medicine," she said, adding, "That's what our strategy is. That's where our thinking is."